Stonesnet AB is located in Linköping, Sweden. Our vision is to be part of a “revolution” in tennis through a new and fun way to make tennis a sport for a lifetime. We want to help starter tennis players learn and enjoy the game of tennis much better and for tournament players to be able to develop their game of tennis by using SmartNet®. 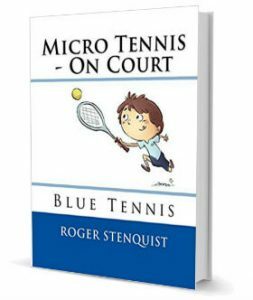 Roger Stenquist, founder and CEO of Stonesnet, born in 1970, began his career as a tennis coach at the age of 20 after having played professionally for two years. After coaching several years, mostly in Germany, he was awarded ”Male club coach of the year in Germany” in 2001 among approximately 10.000 coaches. 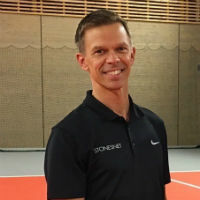 Between 2002 and 2006 he was responsible for the Swedish Sports Confederation´s Tennis High School in Linköping, Sweden before he became a tennis club coach in Sweden. Both books can be bought on Amazon. Roger discovered the missing piece in ITF’s campaign ”Play and Stay” in 2011 – the net! The racket, the court and the balls were adjusted after the height of the players, but not the net. So Roger invented SmartNet®, a height adjustable tennis net. Stonesnet AB was founded to produce and market SmartNet®. The height adjustable tennis net that makes it easier for starter players to learn how to play tennis. 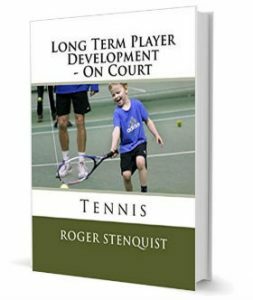 The net also contributes to develop young tennis players in a more natural way.